Custodial history: The collection was assembled over time in Special Collections. Conservation notes: All items placed in acid-free folders within archival boxes. Some items placed within mylar or buffered tissue paper. Some fragile items. Scope and Content: Although the date of many of the pieces is unknown, the dated material covers the years 1878-2014 with the bulk of the material ranging from the 1910s-2000s. 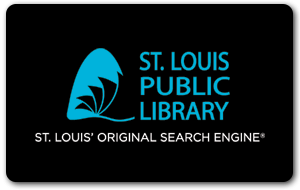 The collection is organized into three subseries, the bulk of which consists of publications that represent the history of and changes within the Post-Dispatch as well as the greater world of (newspaper) publishing trends and standards. Most boxes are arranged alphabetically. Boxes 10-13 are arranged chronologically. Restrictions: Copyright held by the St. Louis Post-Dispatch. The collection is still growing and the number of boxes as well as their contents may change. Editorial cartoons 1913-1965 from the editorial page of the St. Louis Post-Dispatch, BK-21-2/MA uu:39 in RB stacks. The Story of the Post-Dispatch (1940) BK-6/MA uu:79 in RB stacks. The Story of the Post-Dispatch (1949) BK-26/MA uu:44 in RB stacks. MA uu:58-73 withdrawn by J. Gosebrink? 15 boxes, 4 bound folios;12.5 cu. ft.
1/5 “Announcing the St. Louis Post-Dispatch bi-centennial edition of the City of St. Louis, Sunday, February 16, 1964.” Published Oct. 1963. Box 2: Reference department files, 1942-1982. Includes correspondence, memos, policies and procedures, surveys, staff lists, reports, etc. The department, which held a reference library, picture file, map file, clipping files, primarily for staff use. 2/1 Inventory and insurance evaluation, 1950-1960. 2/2 Modified manual system draft, 1980; Multiple copy system survey, 1979. 2/4 Memos re: clipping, picture files, 1942-1963. 2/7 Correspondence, staff information, reports, etc., 1941-1980. 3/- Poster. “Celebrate the 90th birthday of the Post-Dispatch Weatherbird, Monday, February 11, 2nd floor cafeteria” 1991. 3/- Poster. “Good news just got better St. Louis Post-Dispatch” Dan Martin. 4/- Thomas A. Engelhardt. Go, my son, and sin no more. July 30, 1976 (reproduction). Signed, 8/11/1976. [oversize] Thomas A. Engelhardt. Night Depository. March 22, 1972. [signed, 3/22/1972]. Ge-00944. 4/- “Airplane for sale” July 20, 1958. 5/1 Building the Constitution / by Irving Dilliard of the Post-Dispatch editorial staff. 1937. Reprinted from the St. Louis Post-Dispatch. 5/3 “Demoralizing a nation.” Reprinted from the St. Louis PostDispatch editorial page of November 17, 1933. 5/6 “Fifty years of Pulitzer prizes” by John Hoenberg, 1966. 5/8 High and mighty: the flood of ‘93 by the staff of the St. Louis Post-Dispatch. Kansas City: Andrews and McMeel, 1993. 5/19 magazine: a picture story.” Final issue. 6/10 You and the P-D, 1959-1965. Staff information. Box 9: Style manuals, specimen books, etc. 9/3 Rotogravure manual. Rotogravure, and how it may be advantageously used in the Post-Dispatch: how and when to use it. 1924. This book prepared and copyrighted 1924 for the KimberlyClark company, Neenah, Wisconsin, by Merrill, Price & Taylor, Chicago. 9/8 Type faces for display advertising. Type faces for display advertising in the St. Louis Post-Dispatch. January 1973. 9/9 Type specimens, 1917. Type specimens, borders, rules, etc. New Post-Dispatch plant. Fall 1917. Signed H.A. Brockland. 10/- St. Louis Post-Dispatch. Analysis of growth of newspaper. Ca. 1987? [folio] 50th Anniversary [of P-D], December 9, 1928. [folio] 16th Anniversary Section of the Post-Dispatch, December 13, 1938. [folio] Commemorating 100th Anniversary of Joseph Pulitzer, April 6, 1947. Fragile. [folio] 75th Anniversary [of P-D], December 13, 1953. 13/3 Letters to advertisers, 1920-1945. From George M. Burbach, 1936-1941. 13/10 P+D+C, 1920s. The Advertiser’s Micrometer of a Newspaper, 1924. 14/- Ribbons (2). Christmas Festival, 1913. Public School Athlete League, 1912. “To get all this, just get this” mini bus tails (2). PD40052.